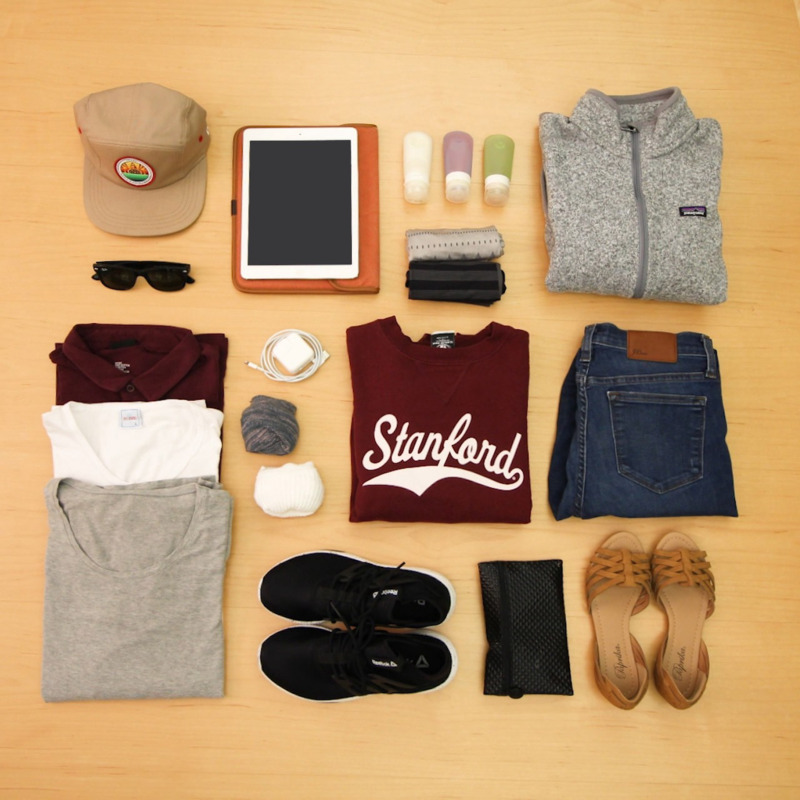 Stanford Travel/Study trip leaders share their tips for fitting it all in the bag. Traveling is great. Baggage is not. Nothing cramps your style on a trip like hauling around a wheelbarrow of “necessities.” But how do you know what you really need to bring? We asked the experts: The Stanford Travel/Study staff have taken alumni all over the world — more than 162 countries and counting. And they do it gliding effortlessly on the wheels of a carry-on suitcase. Here are their secrets for packing lightly and efficiently, no matter what your destination. Trip leaders were unequivocal on this point: Many trips can be made with just a carry on-size bag, and whenever possible, that’s the route they go. Choose the lightest-weight suitcase possible. Soft-sided vs. hard-sided is a personal choice, our experts say, and each has their benefits. If you choose a hard-sided case, look for one made from a lightweight and durable material, such as aluminum or polycarbonate. You can look for features that make your carry-on work for you, like a built-in battery to charge your devices on the go, or electronic bag tags in the event you do need to check it. Just don’t get black — it’ll blend in with everyone else’s (so not helpful, and so not you). If you are carrying onto a plane, you still get one additional personal item, such as a backpack. Utilize that space. Ever return from a trip and realize you had the same sweatshirt on in every single picture? You may have overpacked your underlayers. Our trip leaders point out a few T-shirts or undergarments can often be ditched to create space for items that are more difficult to buy or wash en route, such as warm outer layers. Your thin layers can be washed, dried and worn again during the trip (even in a hotel sink, if needed). Are you taking a trip that is going to require next-level efficiency? Pack an all-in-one biodegradable liquid soap to clean everything from your hair to your jeans. Our experts were firm: two pairs of shoes. For most trips this means one pair of comfortable walking shoes and one pair that can be worn for dressier occasions. Ballet flats were a popular choice for the women because they can be dressed up or down and take up little space. Men in our group chose a nicer pair of shoes that could be paired with khakis or jeans. Bring fewer pants and more tops to give the illusion of more outfits, and coordinate everything you bring to mix and match together. Women, you can’t go wrong with an all-black outfit. Bring various accessories for pairing, including something sparkly for an impromptu dressier outing. Men, a tie and a v-neck cashmere sweater will dress up a button-down shirt without taking much space. Alternatively, if you’re bringing a suit jacket or blazer (you can wear it on the plane to save space), Brett Thompson, ’83, director of Travel/Study, suggests dressing it up with perhaps the most space-saving accessory of all: a pocket square. There are exceptions. But most of the time, anything you really need can be obtained at your destination — which means less pressure to pack it all. You might use the hotel toiletries and hair dryer rather than pack your own. Some hotels even provide workout gear, particularly if you are part of a credit card program. And sometimes, the right call is to buy items when you arrive (diapers for a young child, your favorite sunblock) if you know you can find them easily and will have the time to spare. Everyone has something they can’t leave home without. Packing light means you have room for the items that are essential for your personal comfort. You may want an extension cord in your bag so you can charge your devices while using them comfortably. A tablet can hold all your essential reading material and takes up very little space. A reusable water bottle might be a must. For Christie Goeller, senior manager, client relations, a pair of gloves is the key add. “It’s my secret weapon. I think a lot of people, me included, get cold on a plane. Gloves are so small and easy to pack and they make such a difference.” Whatever your luxury item, by maximizing space all around, you’ll have room for the things that make traveling great for you. 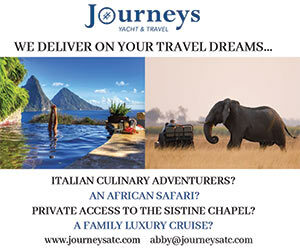 Travel/Study leaders have sent out 1,069 alumni trips just since the year 2000 and they say nothing goes back into the suitcase the same way at the end of the trip. (A space-saving compression bag for dirty laundry can help.) So if you’ve got room in your suitcase, don’t fill it up. It will be helpful if you pick up gifts or something special for yourself. Skills and gear sorted out in time for your vacation. Looking to live a successful, happy life? Do away with these three dysfunctional thoughts. After being diagnosed with multiple sclerosis, the former civil rights lawyer began creating provocative works of art from the scans of her own diseased brain.